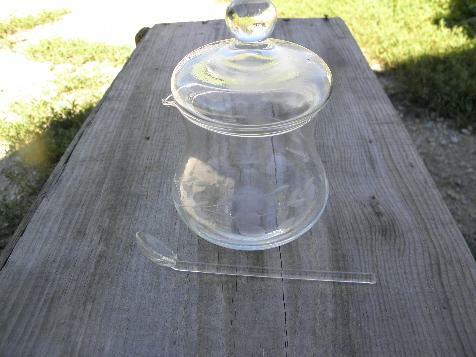 Heritage cut floral pattern glass, vintage Princess House condiment jar, with the tiny glass spoon included. 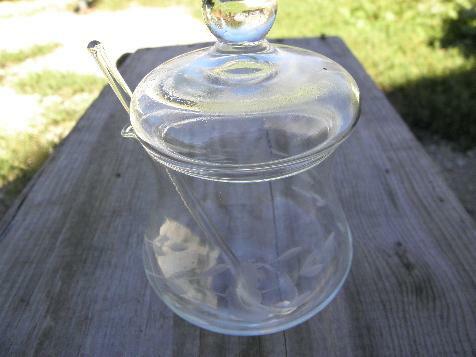 This is about 4 1/4" tall, with the spoon measuring 4 1/4" long end to end. It's all in excellent condition, without chips or damage.